Police in Pinecrest, Florida recently arrested a man on multiple counts related to offenses he committed while posing as a rideshare driver. The Miami Herald reported on December 8, 2017 that the man held himself out as working through Uber or Lyft rideshare services in order to pick up women. However, he would take them to places other than their intended destination, and then refuse to let them out. Several of these crimes took place out of state, including some that involved female students attending the University of South Carolina. While the man had several outstanding warrants for assault and other violent crimes, he may also face kidnapping charges in Florida which could lead to serious criminal penalties if he’s convicted. Kidnapping is a First Degree Felony under Florida law and falls under the state’s mandatory minimum sentencing program. Therefore, a judge must issue a sentence of no less than four years’ incarceration for a conviction. However, the maximum sentence allowable by the statute is life in prison. Penalties may also include a fine up to $10,000 and probation. Conduct amounting to human trafficking. If any of these circumstances is present in connection with a kidnapping, the offense is a life felony under Florida law. A conviction requires a judge to issue a mandatory minimum sentence of life in prison. However, a court may sentence an offender to the death penalty in certain cases. It’s possible to raise the defense of incidental confinement if charged with kidnapping. There is no crime where holding the victim would naturally accompany the underlying offense. For instance, where someone breaks into a home and tells the occupant to stand in a certain place while committing a theft crime, there is no kidnapping. The confinement was incidental to the theft. 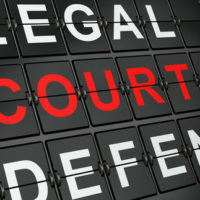 If you’ve been charged with kidnapping or other felony offenses, the best strategy for defending yourself is to retain an experienced criminal defense lawyer. Attorney Kevin J. Kulik has assisted many clients obtain a favorable outcome in criminal cases, so please contact our Fort Lauderdale office to hear about how we can help you.